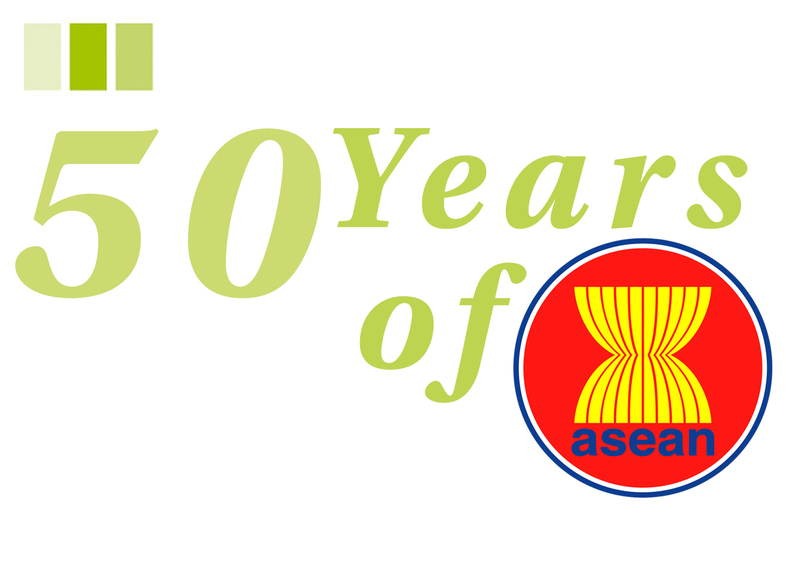 The Association of Southeast Asian Nations (ASEAN) turns 50 years in 2017, coincides with the Philippines’ Chairmanship with the set theme of “partnering for change, engaging the world". After a half century of its existence, is the regional grouping ASEAN becoming better or worse? Generally, ASEAN progressed quiet well in many aspects including regional integration efforts, narrowing development gaps, maintaining peace and improved social landscape across the region. Nevertheless, such progress is not all-encompassing. In other words, not being entirely inclusive as yet. There are segments of vulnerable population who are not being part or left behind in the integration process. One of them is forced migrant population or broadly referred here as refugees and asylum seekers. As of 2015, a total of 284,949 refugees and asylum seekers registered in Cambodia, Indonesia, Malaysia, Thailand and Philippines (UNHCR, 2017). No record of forced migrant population registered in other member states of ASEAN in 2015. One simple question worth explanation - are forced migrants who seek refuge in ASEAN member states are included in national population census? Or are they part of nearly 630 million ASEAN population (ASEAN, 2016)? If they are not, they are likely to be excluded from national development initiatives, let alone the regional integration initiatives. In the meantime, the number of people fleeing persecution is unlikely to lessen in the near future due to geopolitical uncertainty, ongoing civil wars, military intervention and human rights violations that occurred in almost all parts of the world. Trends of forced migration have evolved unconventionally due to globalisation, technological advancement and high connectivity in transportation. Consequently, ASEAN is no longer a safe haven for forced migrant population from its individual member states but from other regions and continents too. For example, about 14% of the total of 65.3 billion forced migrant population are currently hosted by nations in the Asia and Pacific regions, where majority of them (53%) are coming from three major nations namely Somalia, Afghanistan and Syria (UNHCR, 2017). How ASEAN would respond on these trends rely heavily on its individual member states’ commitment and shared-responsibility to make the region a place called “home” for everyone. This article seeks to discuss how ASEAN could ensure their regional integration efforts would be truly “inclusive” and that will guarantee better future for forced migrant population in the region. In doing so, this article discusses what the ASEAN and its member states committed in the past. How far the past experiences directed the regional grouping and the member states in addressing present situation of forced migration? Most importantly, how best the ASEAN and its member states should respond forced migration situation in the future? Regional approach in handling massive movement of forced migrants within the Southeast Asian (SEA) region is not a new phenomenon. 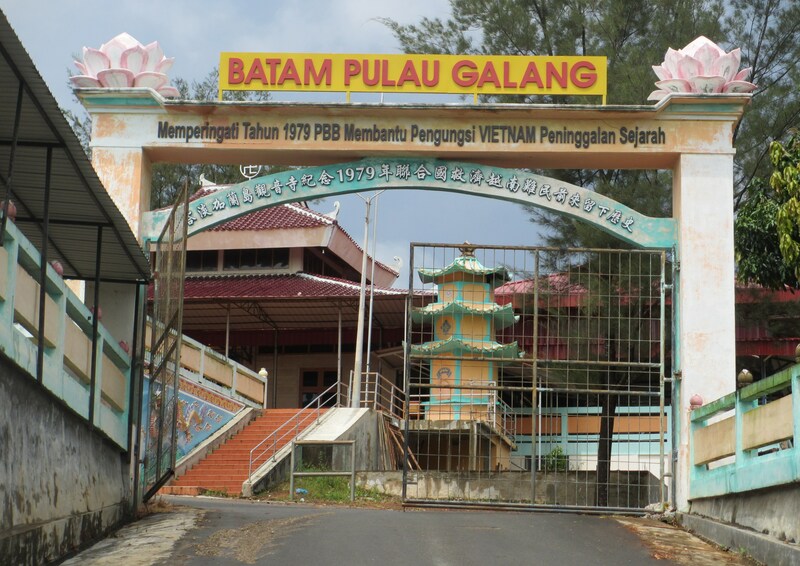 The founding members of ASEAN namely Indonesia, Malaysia, Philippines, Singapore and Thailand experienced being asylum countries to almost half a million of Indo-Chinese refugees in the late 1970s and continued until early 1990s. Each of the member state has its shared-responsibility. Malaysia, Thailand and Indonesia played the leading role by providing more spaces and opportunity for the Indo-Chinese refugees to seek temporary shelter before being resettled to third countries or repatriated back home. Singapore, despite its obvious space limitation, committed to host about 900 refugees in 1979 and 480 refugees in 1982 (UNHCR, 2017). Likewise, despite its remoteness, the Philippines managed to provide asylum to 5,300 refugees in 1979 and the number increased nearly fourfold to 20,300 refugees in 1980 (UNHCR, 2017). This commitment was not made without acknowledging the actual risks and future implications for the ASEAN or its member states. The ASEAN fully acknowledged that such commitment would establish a precedent, and ultimately would create a “refugee magnet phenomenon” that attracts more and more asylum seekers to seek refuge in its member states in the future. The individual member states also recognized that such commitment would create more social problems internally, economic costs and administrative burden to the government agencies whose handling internal refugees’ movement and coordinating humanitarian responses from international organisations (Suhrke, 1980). Despite multiple barriers, their collective commitment to provide temporary asylum for the Indo-Chinese refugees depicts the common ASEAN’s stance and positive track record to respond such a complex and highly politicised forced migration situation in the region. There are three observations that could better explain why such commitment was successful from the late 1970s until early 1990s, but may not necessarily be replicable at present situation. First, there was a greater international response and commitment by the third countries such as the U.S., and international organisations to reduce burden of first asylum countries in ASEAN through rapid resettlement and provision of substantial financial assistance. In the period between 1979 and 1980, for instance, monthly resettlement quota to third countries was increased to 23,000 applicants where two-third went to the U.S. On financial implication, international organisations spent about US$ 100 million to manage refugee population in Thailand for a period of six months from October 1979 to March 1980, while UNHCR allocated roughly US$ 30 million in Malaysia (Suhrke, 1980). With such commitment from the U.S., international and intergovernmental organisations, the number of refugees who were temporarily sheltered in ASEAN member states was rapidly reduced and at the same lessened the cost implication towards asylum countries. Second, Viet Nam (the origin country of the majority of Indo-Chinese refugees) was not part of ASEAN family until 1995. Hence, the collective commitment among the ASEAN member states to provide temporary shelter to Indo-Chinese refugees was not an issue of the normative framework of non-interference principle in the internal affairs among the member states. Third, the willingness of the ASEAN member states to take the risk and their shared-responsibility to provide temporary shelter was meant to maintain good relationship with the U.S. with very clear objective to balance the growing influence of Chinese and Soviet in the region. These are the three parameters that helped strengthen the collective response of ASEAN and its member states in the past in handling forced migration. ASEAN today consists of 10 member states including countries who were initially refugee-producing countries such as Cambodia, Lao PDR, Myanmar and Viet Nam. To further strengthen their collective integration efforts, ASEAN Leaders from the 10 member states came together in Singapore 2007 to sign and witness the creation of ASEAN Charter, and hence become a legally binding document for the regional grouping. No doubt, the establishment of ASEAN Charter is a manifestation of their renewed political commitment to boost its community-building process. 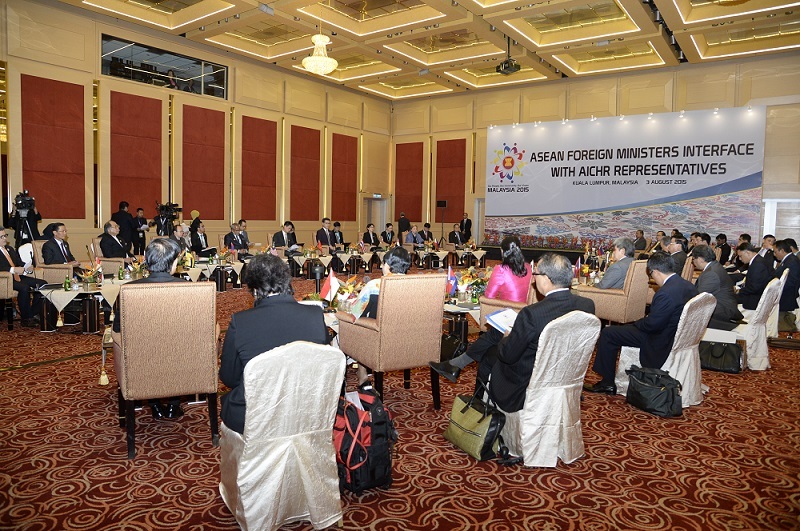 It also paved the way for the expanded roles and mandates of the ASEAN Foreign Ministers and proliferation of ASEAN Bodies related to human rights, amongst others, the ASEAN Intergovernmental Commission on Human Rights (AICHR) and ASEAN Commission on the Promotion and Protection of the Rights of Women and Children (ACWC). These human rights regional institutions are expected to promote and protect the rights of ASEAN citizens pursuant to the ASEAN Human Rights Declaration (AHRD), ASEAN Charter as well as the Universal Declaration of Human Rights (UDHR). Unlike the Charter of Fundamental Rights of the European Union, nevertheless, no specific mentioning on the term “refugee”, “asylum-seeker” or “forced migrant” is referred to in any of these key ASEAN documents including the ASEAN Charter and AHRD. The non-existence of such references in the ASEAN documents is due to the lack of ratification among its member states where only Cambodia (1992) and the Philippines (1981) ratified the 1951 Refugee Convention and its 1967 Protocol. The rest of the member states are not ready, and have not shown any indication to ratify the convention despite having positive commitment in the past. At national level, the term “refugee” is not officially recognized and referred to in national laws, policies and administrative procedures amongst the non-state parties to the 1951 Refugee Convention including Thailand, Malaysia and Indonesia. Apart from the lack of collective political commitment by the regional grouping, there are other observations that could better explain the reluctance of its individual member states to commit a legally-binding obligation in handling forced migration in the region. First, the post-Cold War era marked the proliferation of emerging and multifaceted security threats that weakened and exposed states and society to transnational security risks. These include threats emanating from terrorism and militancy activities, smuggling of irregular immigrants, human trafficking as well as drug and arms smuggling – all of which being blanketly linked to refugees’ movement in the region. Such complex nature of threats prompted ASEAN member states being over protective and subsequently unwilling to provide a rule-based commitment in handling forced migrants. Some member states such as Thailand, Malaysia and Indonesia, however claimed that despite the non-existence of their legally-binding commitment, they provide minimal protection to refugees including adherence to the non-refoulement principle on humanitarian grounds. Secondly, post-Cold War era also marked new trends of forced migration especially from other regions and continents to ASEAN. Although number of refugees who were seeking refuge in ASEAN member states reduced nearly two-fold from 437,530 in 1980 to 284,949 in 2015 (UNHCR, 2017), their nationalities (background) are diverse than before. For instance, Malaysia is now a country of asylum for forced migrant population coming from Angola, Burundi, Bhutan, Central African Republic, Cameroon, Democratic Republic of Congo, Algeria, Guinea, Ethiopia, Iran, Iraq, Kenya, Kuwait, Rwanda and Senegal (other than Myanmar) (UNHCR, 2017). Similar trends of forced migration occurred in Thailand and Indonesia which showed the expansion of new nationalities of forced migrant population compared to the period before 1990s. Overall, of the 284,949 registered refugees across the ASEAN member states, about 11.3% (32,127) are non-ASEAN refugees, majority of which coming from West Asia, South Asia and selected African regions. It is an indication that future forced migration agenda would likely being the toughest challenge facing the regional grouping in the future. The past experience and present situation are not likely to predict the future of forced migrants in the region. What more in the age of uncertain geopolitics, unequal development and deepened inequality. The best way to predict the future for forced migrants in the region is to create it. However, to create a better future for forced migrants, it requires strong leadership, political commitment and willingness to share burden and responsibility to protect by the regional grouping and its individual member states. A concrete regional commitment to respond on forced migration can only be achieved when majority of the individual member states have clear position and commitment at national level. But it is not the case in ASEAN, thus far. Individual member states especially the largest refugee hosting countries such as Thailand, Malaysia and Indonesia should play leadership role by transforming their humanitarian approach towards a legally binding commitment in order to provide concrete and sustainable protection for forced migrant population. The fear of unknown implications for committing towards legally binding obligation should not stop countries to ratify the 1951 Refugee Convention as the motives of forced migration are not determined by the status of ratification by the member states. For instance, Malaysia has yet to ratify 1951 Refugee Convention and does not recognize refugees in its country, but number of refugees seeking asylum in Malaysia increased significantly from 5,412 individuals in 2000 to 154,486 individuals in 2015 (UNHCR, 2017). This suggests a weak correlation between country’s status of ratification to the 1951 Refugee Convention and “refugee magnet phenomenon” in the region. Apart from geographical factor and opportunity to benefit from various economic activities including to enter into informal labour market in Malaysia, Thailand and Indonesia – provision of minimal protection to refugees collectively served as the pull factors that attract asylum seekers to seek refuge in their respective countries even in the absence of legally binding commitment. The ASEAN and its member states should also acknowledge the motives (push factors) behind forced migration where refugees are forced, without many options to leave their home country in search of international protection. In such circumstances, refugees will find the way to reach these countries by risking their lives to be smuggled by reckless syndicate and taking advantage of the lack of integrity among certain enforcement personnel. At national level, individual member states should strengthen access to justice and administrative procedures ensuring each of the forced migrant has equal access to their basic needs and rights while seeking refuge. Members of civil society organisations (CSOs) including medical, faith-based and humanitarian organisations should be adequately empowered through provision of funding and expertise to enable them to perform their duties efficiently. Relevant government agencies should work hand in hand with the members of CSOs in order to reach out to, and provide appropriate assistances to forced migrants. The willingness of individual member states to commit on these obligations would bring spill over effect or influence to their fellow member states to do the same. This can be witnessed in the way the Governments of Indonesia, Malaysia and Thailand who unnoticedly competing among themselves to respond to the Rohingya's crisis in late 2016. Nothing is bad about this diplomatic rivalry. However, it does not turn into concrete commitment at national level in all these three countries. Given the lack of national commitment by the individual member states, what and how the regional grouping should play its role? ASEAN established its regional human rights institution namely the AICHR in 2009 with overarching mandate to promote and protect human rights. The AHRD under Article 16 manifests the ASEAN and its member states’ commitment to ensure the right to seek asylum. The AICHR is rightly positioned to leverage its mandate to develop regional strategy to encourage member states to ratify 1951 Refugee Convention in order to strengthen their commitment in relation to ensuring rights to seek asylum for forced migrant population. As an ASEAN organ that convenes their regular meetings every year, the AICHR should establish a permanent agenda on forced migration, and to be mainstreamed in its Priority Programme and Five Year Work Plan. The expansion of non-ASEAN refugees in the region suggests that it is no longer an issue of intra-regional that requires internal solution exclusively. 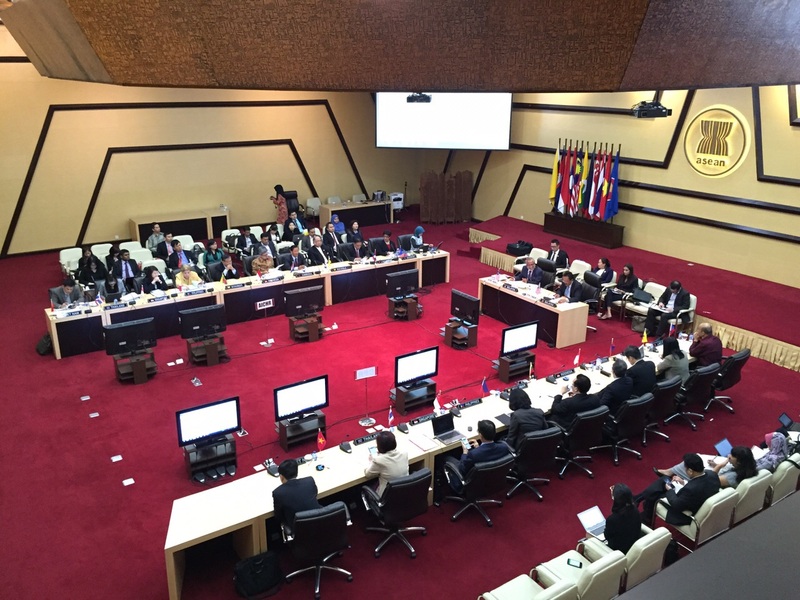 ASEAN and the AICHR being the overarching regional human rights organ should explore ways to establish strategic cooperation and partnership specific on forced migration issue with African Union, African Commission on Human & Peoples’ Rights (ACHPR) or Organisation of Islamic Cooperation (OIC). Apart from leveraging the existing regional human rights mechanism, the ASEAN should develop a more concrete and sustainable platform to discuss issues related to forced migration beyond the three pillars of ASEAN Community. The logic is simple. Forced migration is an issue of political-security, socio-cultural and economic integration. Hence, the fourth ASEAN Community pillar may be established to discuss regional solution for issues that are cross-pillars in nature such as forced migration. To conclude, forced migrant population by default has been part of the ASEAN society since the period of Indo-Chinese refugee crisis in the late 1970s until Rohingya catastrophe very recently. The uncertain international response to reduce burden of asylum countries indicate that forced migrants would likely to be in “protracted situation”, waiting for durable solution accorded to them. As ASEAN strives to strengthen its regional integration efforts and pledges to be truly inclusive, people-centred and people-oriented, the regional grouping and its member states must provide opportunity and empower forced migrant population to be part of this regional integration process. The growing presences of non-ASEAN refugees also indicate the need to reflect this emerging trend of forced migration into regional agenda and integration initiatives. The rationale being, better to manage and integrate them rather than ignoring their presence in the country. By then, forced migrants regardless of their background of nationalities will be able to contribute to the hosting society, regional integration and create their own future.